If you are like me, there is one truth about camping, no matter the weather forecast, it’s going to rain. At least a little. While it may not be the optimal situation, there are ways you can make the most of it. No need to let a little foul weather ruin our valuable outdoor time! 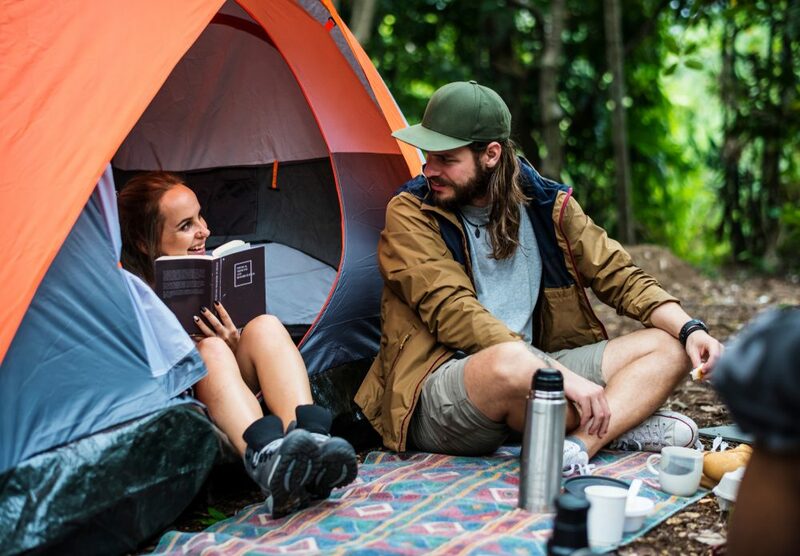 With these few tips, you can make the most of your camping experience no matter the weather! While most of us plan our camping trips down to a tee, sometimes those plans go awry. Having a backup plan and a few little extras will go a long way toward making your trip a success when the weather turns soggy. Or bring several tarps. These are such a useful item that you can never have enough of them. Put one under your tent to keep standing water out. Put one over your tent for a little added protection. Use one inside your tent to make cleanup a little easier. And that is just the start. Use a large tarp to create an outdoor space so you aren’t confined to a small tent. This can give you a place to do your cooking. It can be a great place to gather with friends. And when you get tired of your tent, it’s a much better place to sit and take in the sights. And bring various sizes. These are probably the most useful piece of gear you can have when the clouds let loose. You can use them to store dry things to keep them from getting wet. You can use them to keep wet things from getting everything else wet. They also make great emergency ponchos. You can use one as a mat outside your tent to keep your muddy shoes. They make great pack covers if you don’t have one. In an emergency you can even use them to line under your tent if the water starts to come through. You can use them for most anything. Did you plan on cooking over an open fire? Well that could be out the window. Good luck finding dry firewood and getting to stay alight when the rain is falling. If you didn’t plan an alternate menu or at least some other food options, your trip is heading south in a hurry. Other than just snacks, you need to plan so no-cook options just in case you need them. At best it will keep you from living off Cheetos. At worst, it saves you a trip to the nearest town. While you are at it, pick up a small propane stove or alcohol stove. They can be lifesavers! Many of the best campsites are in hard to reach places. They could be near rivers or across streams. They could be out long and windy roads, slick trails, or on the far side of rough terrain. Sometimes your site will be inaccessible at best and getting there could be dangerous. Pick another site or even a couple of alternates. Sure, you may not the site you want but if you make one of your sites a place you know is away from hazards and easy to get to, at least you aren’t going to ruin your whole camping trip. While rain gear is a given for most outdoor people, there a few clothing considerations you may have overlooked. Having these can make you more comfortable. Nothing is worse than having to dress in damp clothing or put on a pair of sodden shoes. If you hike in, your shoes are going to be soaked. 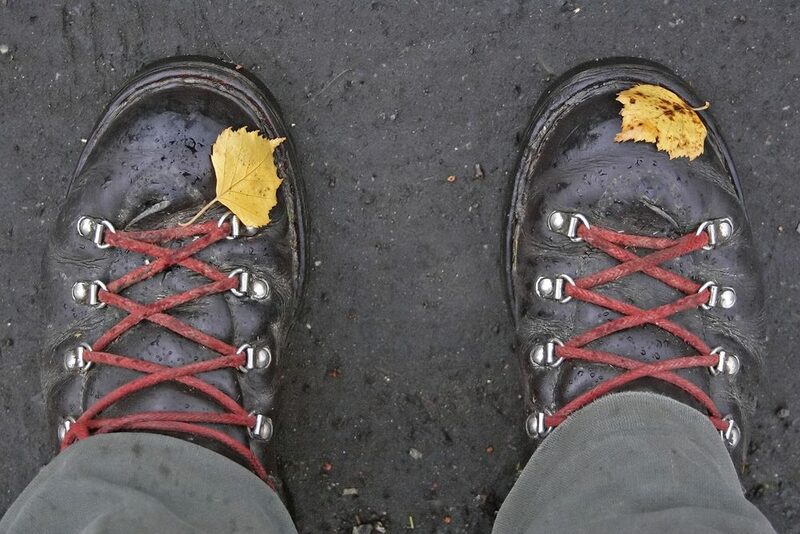 Even if you just walk a short distance from your car, your shoes may feel like a sponge. While that may not be so bad in the short term, putting on a pair of wet shoes first thing in the morning can ruin a perfectly good mood instantly. Camp shoes should be of a type that being wet won’t hurt. Sandals and Crocs are great options. They dry quickly, keep your feet covered, and no matter how wet they get, you won’t get that stepping into a wet dish sponge feeling. If you don’t know what gators are, they go over your lower legs and are often waterproof. If you have to go out after a rain when things are still wet, they will keep you from getting the legs of your pants soaked from walking through grass and weeds. Even if your shoes are waterproof, these are a great investment. 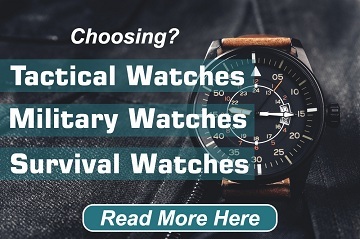 They are cheap, light, pack small, and will come in handy more often than you think. You can go ahead and invest in snake proof ones so they serve a purpose even in dry conditions. If you are going camping, we are going to assume you are bringing along a few extra changes of clothing. If not, you need to consider that first. It will make you a much better camping companion while keeping you more comfortable. If rain is in the forecast, maybe sneak in an extra change. Keep it in a waterproof bag and only wear it in your tent. This ensures you will always have a fallback option to keep you warm and dry when its downtime around camp. Depending on where and how you camp, most people plan on a little swimming. If you have a swimsuit, you have one of the most versatile pieces of clothing imaginable. In the rain, this is an invaluable asset that will come in handy more than you think. Swimsuits are designed to dry quickly, not be absorbent, and are lightweight. Use one when you have to make forays into the rain so your serious clothing doesn’t get wet. Besides, it can be a lot of fun running around in the rain in a swimsuit. You should try it. You can have good gear and you can have the right gear. Sometimes the distinction is very small but oh so important. Making a few wise decisions in what you choose to buy and pack can make a world of difference. Let’s start this out by saying that not all tents are created equal. While all tents try to be somewhat waterproof, some succeed far more than others. There are a few features you may want to look for in a tent that will give you better results. 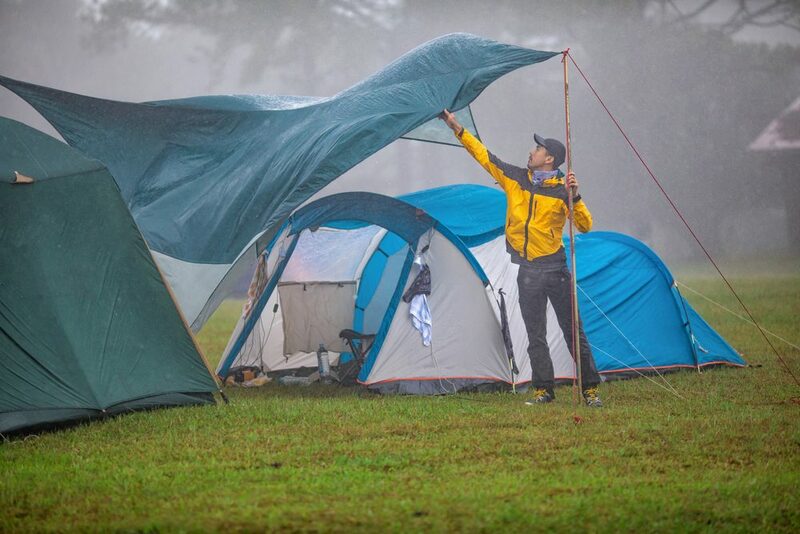 Most tents have a rainfly but some have a larger rainfly and those are what you want. Most tents have sealed seems but some have welded seams and that’s better. Usually a tent will have a reinforced bottom but some have tub style bottoms that are better at keeping water out. Sometimes, no matter how hard you try, water will get in your tent. That’s bad enough but its even worse when your sleeping gear gets wet. That can turn a bad time into one of the most miserable nights of your life. A bivvy bag is a waterproof bag that goes over your sleeping bag and is fully waterproof. They are generally very cheap. Regardless, they are worth more than spending a night in a wet sleeping bag. Tents get holes in them and rain has an astounding talent at finding a way in. Tent repair kits are incredibly cheap and are worth their weight in gold when you do get a small tear and the rain is coming down. Invest in one! That aside, you should also bring along a couple of other repair options. Good duct tape is absolutely invaluable whether it rains or not. Also, a small tube of seam sealer can be very handy to have around. Most clothing is made of cotton but it really is about the worst thing you can wear in the rain. It takes forever to dry and no matter how thick and warm it is, all that stops when you get it even a little damp. There are far better options. Stick to synthetic fabrics. They are affordable, dry quickly, and can be very comfortable. If you want to spend a little more on something better, good merino wool is very hard to beat. Occasionally, you can find wool/synthetic blends that are both budget-friendly and excellent quality. Probably the most important decision we make when camping is where to set up our camp. That needs to change when the weather goes wrong. Depending on how bad it gets, this could make you a little uncomfortable or be a threat to your health and safety. If you are near a body of water, you may wake up with several inches of water where your nice, dry floor used to be. And that is a best-case scenario. If it gets bad enough, you and your tent could get washed away if you got just a little too close to the stream. Even if you are away from a stream, low lying areas can form anywhere from a shallow pool to a small pond. No matter how waterproof your tent is, it’s not going to help you if that happens. Water will eventually get it. Pick somewhere that drains well and is a little elevated. Part of being in the woods is being around trees but when it’s rainy and the weather is bad, they may not be as friendly. In a worst case scenario, they attract lightning and strong winds can cause branches or whole trees to fall. Not something you want to wake up to. But that is worst case and somewhat unlikely. What isn’t unlikely is the propensity of rain to fall from trees for hours after the rain actually stops. Enduring a rainstorm for several hours is bad enough without the trees keeping it going for several hours more. Though grass gets slick when it rains, it doesn’t get a slick as mud. And that aside, it doesn’t clump on your shoes and get all over your nice, expensive gear. If you have a choice, get out of the dirt and camp on the grass. If you need any more reasons, mud is horrible at holding in tent stakes. The more saturated it gets, the worse it gets. The root structure provided by grass will happily hold in your tent stakes no matter how wet it gets. We go camping to enjoy the outdoors but sometimes Mother Nature just doesn’t cooperate. We can do a lot to improve our trip and keep everyone happy if we fall back on some classic indoor activities. Nothing too complicated, it’s the simple things that make a difference. Even at the turn of the 20th century when camping for leisure was just getting popular, having a checkerboard or a deck of cards was considered almost mandatory. The game of poker was born from those who lived vagrant lives and camped as a matter of survival. Today, we have much better options for board games. While a deck of cards and checkers will always be staples, you can choose from hundreds of options. A good plan is to bring at least one family favorite and one you have never played before. When it comes to whiling away the hours during a storm, it is really hard to do better than a good book. There is really no better way to wait out a bout of bad weather than with a soft sleeping bag and a great story. Maybe bring a second one just in case things go on for longer than you would like. For younger children, substitute coloring books. It’s a great way to keep their minds occupied without needing expensive electronic devices. When you are nice and cozy with your book and the patter of rain, a little snack sometimes fulfills every need you could possibly have. Yes, snacks and especially the sugary ones are bad for you but sometimes you need a little bad to turn things good. Don’t restrict yourself to unhealthy snacks though. There are plenty of amazing and healthful options to be had. Sometimes these are even more comforting out in nature than the bad ones. You have played your games and read your book. 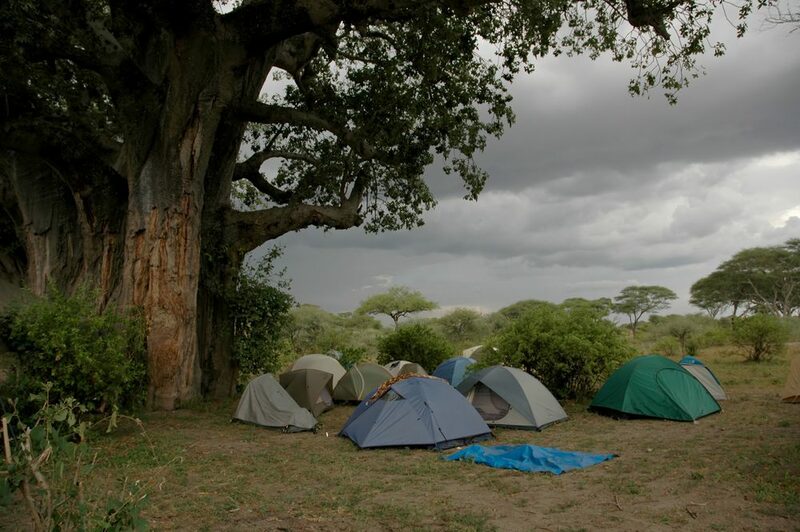 Your tent is staying dry and all is well but boredom and restlessness are facts of life when camping. You can spend your time high and dry and wait it out or you can let go and have some fun! Rain is a part of nature and sometimes you just have to embrace it. Make sure you have some dry clothes and a way to get warm but its ok to play a little. You go camping to live a wild life so let that wild side show. Just a little. While no one really wants to go camping in the rain, it’s not all bad. There is a lot of fun to be had no matter when you go camping. With good choices, decent gear, and just a splash of a care-free attitude, you can have a blast no matter what the weather turns out to be.